LCD Display Touch Screen Digitizer Assembly Parts For Apple iWatch Series 1 2 3. For Apple Watch iWatch Series 2 38mm LCD Dispaly Touch Screen Digitizer Assembly. Original OEM Internal Battery For iPad Pro 10.5 A1709 A1852 A1798 8134mAh Tools. What is included? 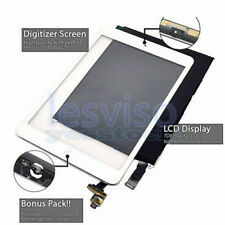 ---CBNF Aftermarket Replacement for iPad 3 Digitizer ---With Adhesive ---With Camera Bracket ---With Home Button ---Color: White. What is included? 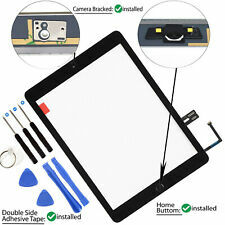 ---CBNF Aftermarket Replacement for iPad 3 Digitizer ---With Adhesive ---With Camera Bracket ---With Home Button ---Color: Black. 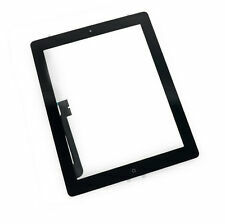 Compatible with: For iPad 3 3rd A1416 A1430 A1403. LCD Display Touch Screen Digitizer Glass For 2018 iPad 6 6th Gen 9.7"A1893 A1954. OEM LCD Display & Touch Screen Digitizer Glass For iPad 5th Gen 2017 A1822 A1823. What is included? 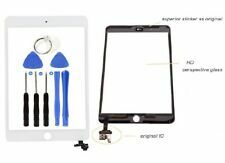 ---CBNF Aftermarket Replacement for iPad Mini 3 Digitizer ---With Adhesive ---With Camera Bracket ---With IC Chip ---Color: Black. OEM Front Touch Screen Digitizer Glass Button for iPad Air 1 A1474 A1475 A1476. White For 2018 iPad 6th Gen A1893 A1954 Touch Screen Digitizer Glass Gold Button. 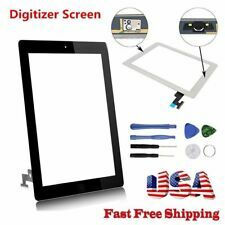 USA LCD Display Touch Screen Digitizer For Google Pixel 5.0" XL 5.5" 2 XL 6.0". alot of 3 OEM screen replacement for ipad air 2 tested . Condition is Used. Shipped with USPS Priority Mail. White For 2018 iPad 6th Gen A1893 A1954 Touch Screen Digitizer Glass Gold Button. Black LCD Display Screen Touch Digitizer Assembly For Google Pixel Nexus S1 5.0". OEM Front Touch Screen Digitizer Glass Button for iPad Air 1 A1474 A1475 A1476. LCD Display Touch Screen Digitizer Glass For 2018 iPad 6 6th Gen 9.7"A1893 A1954. OEM LCD Display & Touch Screen Digitizer Glass For iPad 5th Gen 2017 A1822 A1823. OEM Black Touch Screen Digitizer Glass Button For iPad 5th Gen 2017 A1822 A1823. 1x Touch Screen Digitizer IC Adhesive Preinstalled. iPad Mini 3. _Computer Cables&Connectors. 1x Free tools set. Computers/Tablets & Networking. _Yard, Garden & Outdoor Living. Includes LCD only (no tools). Product is in very good condition and works fine. 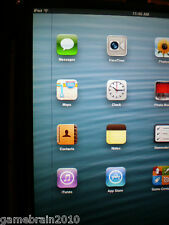 When turned on, there is a vertical dark line from top to bottom on left side of the LCD (see photo) SOLD AS IS! Functionality is not affected in any way and LCD is still fully functional.Picture displays unit being sold. Compatible with: For iPad Mini 3 A1599 A1600. LCD Display Touch Screen Digitizer Assembly For 2017 iPad 5th Gen A1822 A1823. OEM Touch Screen Glass Digitizer Button IC for iPad Mini 1 2 A1432 A1455 A1489. Condition: New. Dead Pixel Policy: Contains 1 to 5 dead pixel(s).